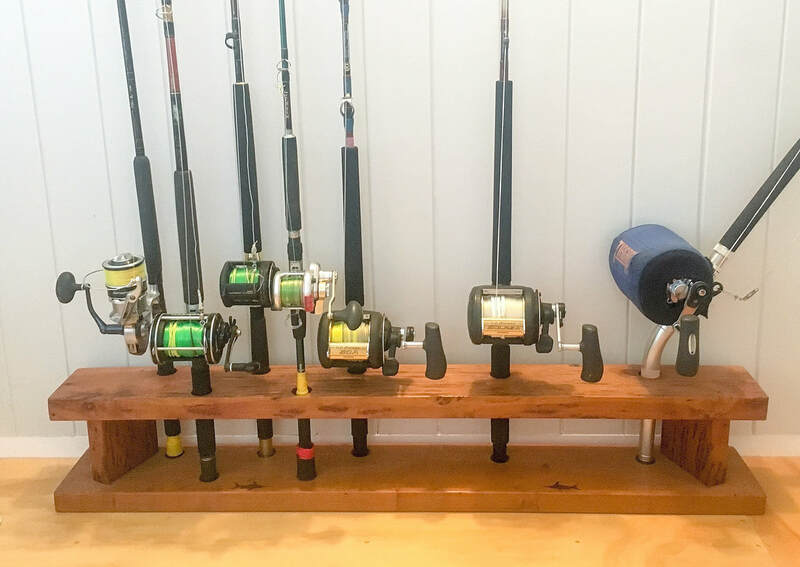 Straight Up Rod Racks are the smart way to look after your top quality fishing rods and reels. No permanent fixing or assembly required. Holds all sizes from game rods and reels to Soft Plastic Sets. Made in New Zealand, by hand using sustainable untreated timber and couriered direct to your door. Choose from a standard light or big game tackle rack or we can combine the two into one rack for you. ​All racks are made to order and come with our broadbill hot iron branding as standard, or choose a snapper, kingfish or trout brand. Filleting boards, serving boards and clubs are also available as is the option to have your rack tattooed with your boat name, logo or message. ​See our product page for details and pricing or contact us to discuss your needs.